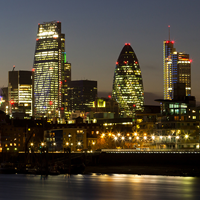 Skyscrapers in the London skyline at night. The future is unfolding. Changing business travel for good.